Kralendijk, 16 January 2019 – Sea Turtle Conservation Bonaire (STCB) is very grateful to Blue Jay Holding Bonaire B.V. for the donation of a brand new boat to the non-profit organization. 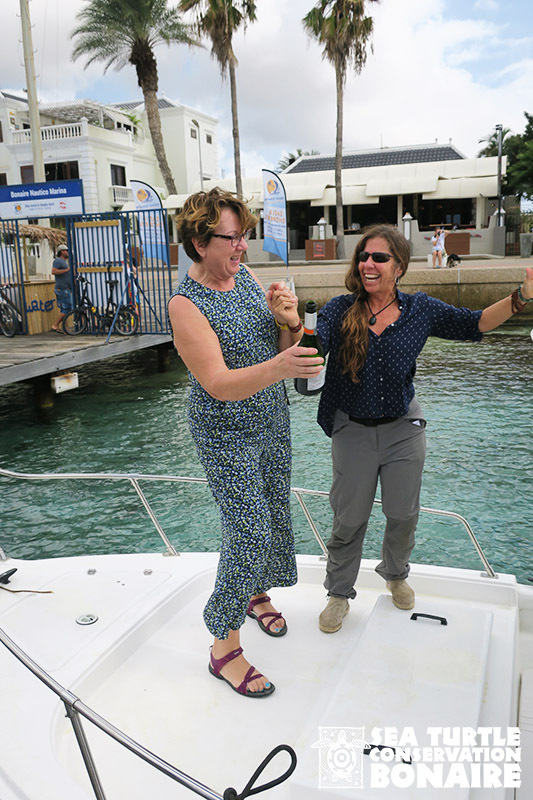 The boat, an Eduardoño 32, arrived on Bonaire in December and was christened at the Club Nautica Pier in the morning of January 11. The Eduardoño 32 will be used for the in-water surveys that STCB conducts along the west coast and around Klein Bonaire between January and April of each year. These surveys allow STCB to make an estimate of the amount of green and hawksbill turtles that live in this area. 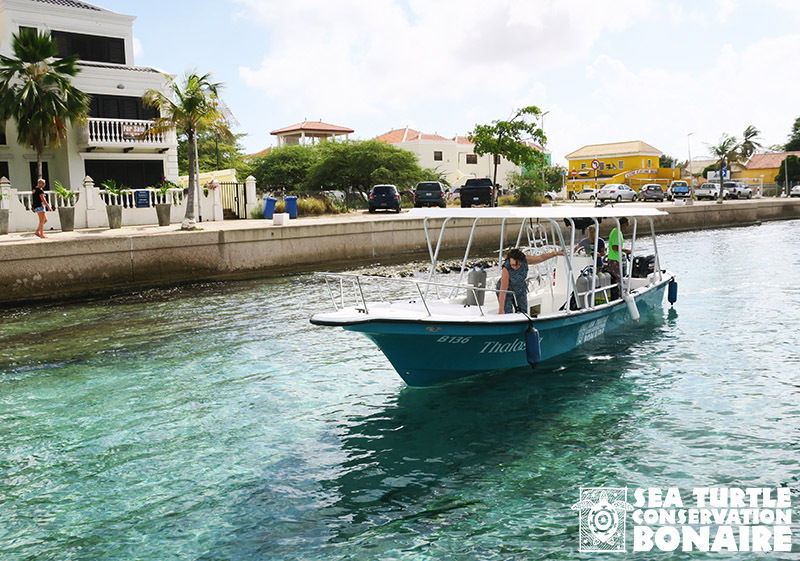 In addition, with the new boat, STCB will also be able to extend their in-water research to cover not only the west, but also the rougher east coast of Bonaire. This gives STCB the opportunity to also make more accurate estimates of sea turtle abundance on Bonaire. STCB is very grateful to Blue Jay Holding for this generous donation and to Bonaire Marine Center for their support! STCB would also like to thank everyone that was present at the christening and celebrated this milestone with the organization.